This article contains facts and information about the life and times of the famous Native American Indian chief known as Rain in the Face. Discover the vast selection of pictures on the subject of the tribes of Famous Native Americans such as Rain in the Face. 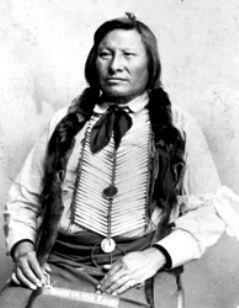 The pictures show the clothing, war paint, weapons and decorations of various Native Indian tribes, such as the Sioux tribe of Rain in the Face, that can be used as a really useful educational resource for kids and children of all ages studying famous Native Americans such as Rain in the Face. We hope you enjoy watching the video - just click and play - a great educational resource for kids.